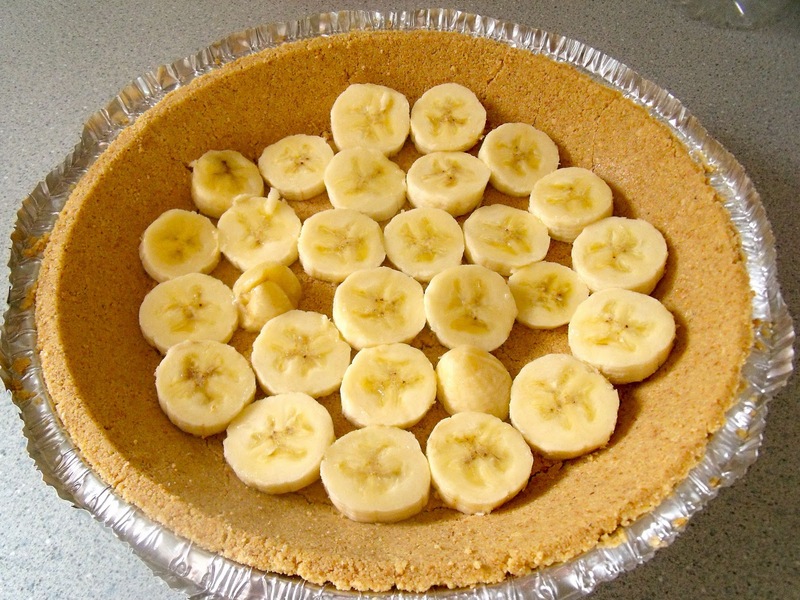 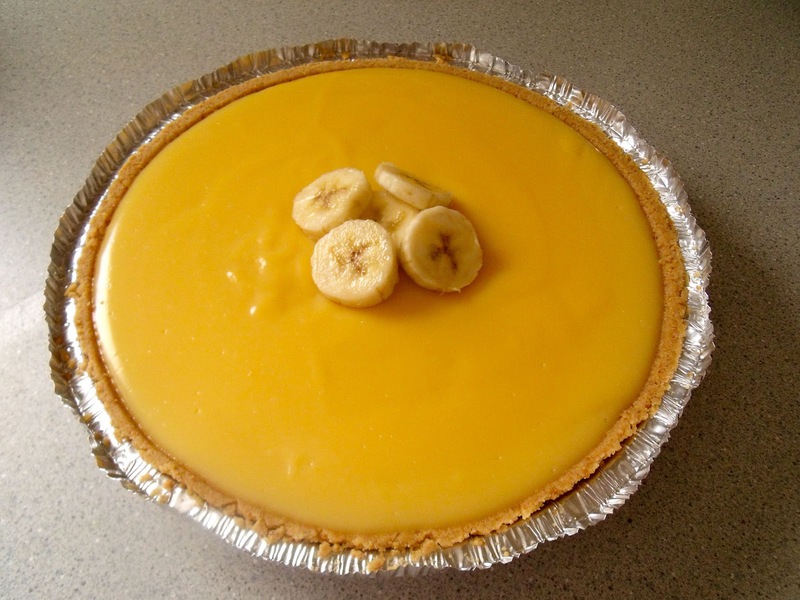 Bananas, instant pudding pie mix, ready crust. 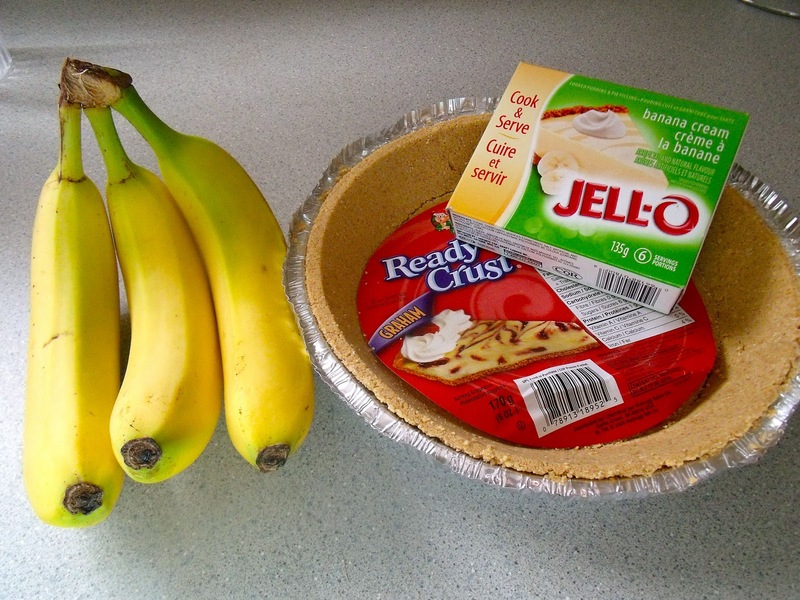 Thinly slice bananas for the bottom of the pie. 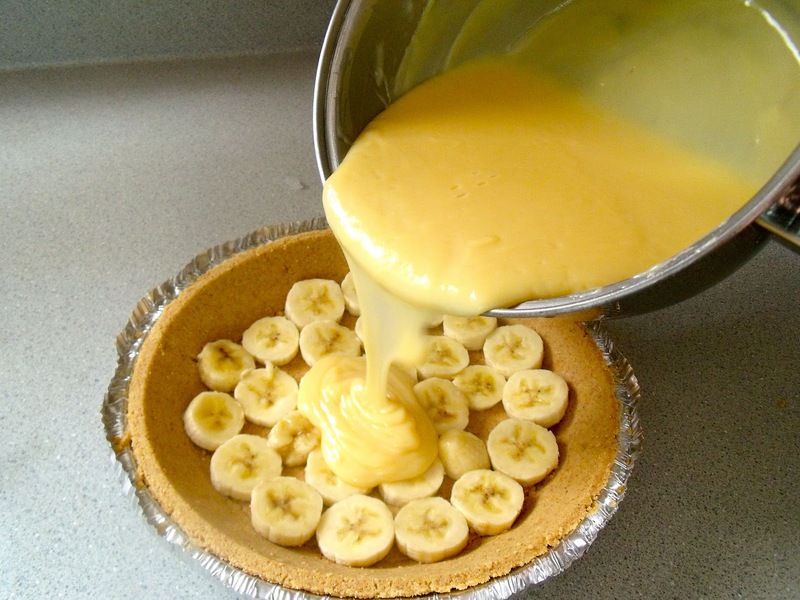 Pour pudding on top of bananas. 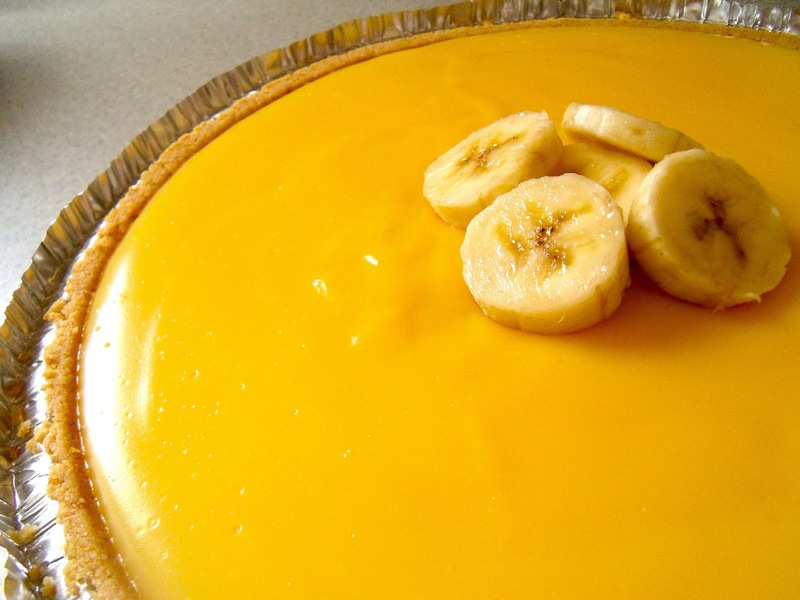 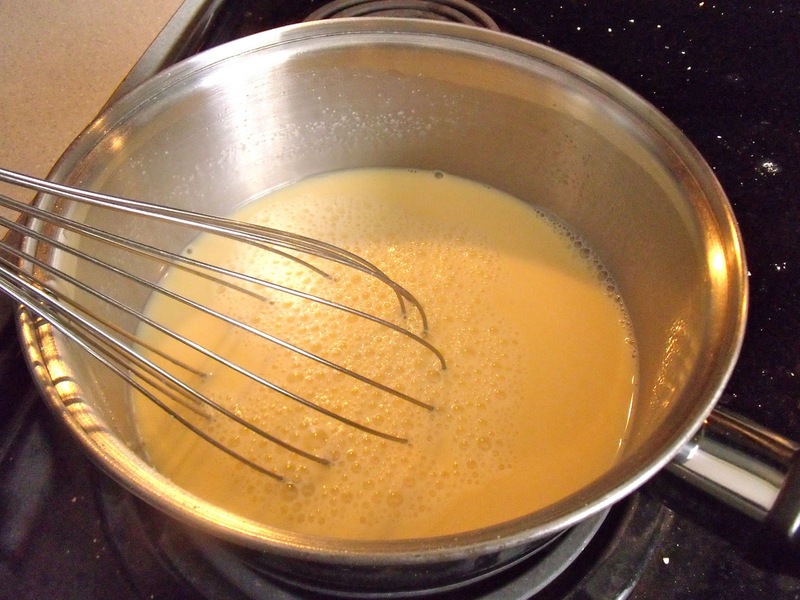 Add a garnish of banana, and serve with whipped cream!